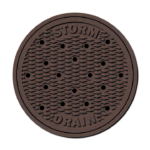 The Scotia Community Services District is responsible for storm drainage services within the community that are outside the County Right of Ways, and not associated with private storm drainage infrastructure (see SCSD Resolution 2016-9). Storm water system infrastructure upgrades are required through the Town of Scotia LLC’s subdivision process and are being upgraded through each phase of subdivision. As of the end of 2017, Scotia CSD holds responsibility for storm water infrastructure in Phase 1, with Phase 2 projected for acceptance in early 2018. Please keep in mind that all drains go to the Eel River. Please do not use drains for dumping anything except water. For additional information, please contact Scotia CSD.